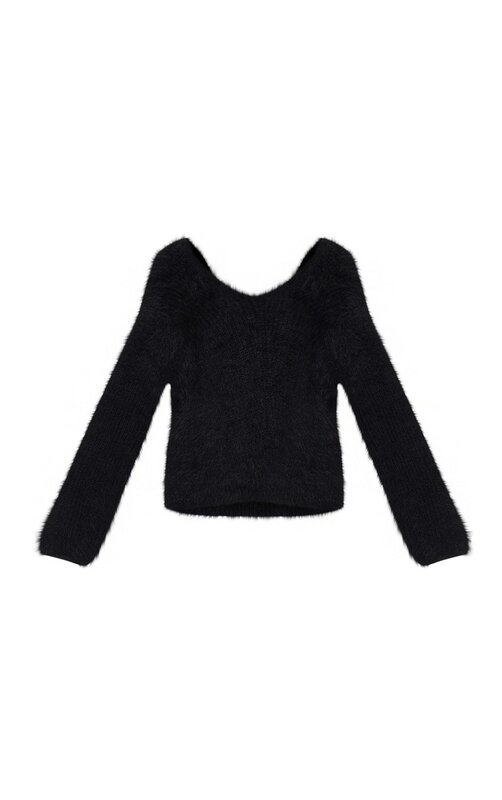 Get A/W ready in this super cosy sweater. 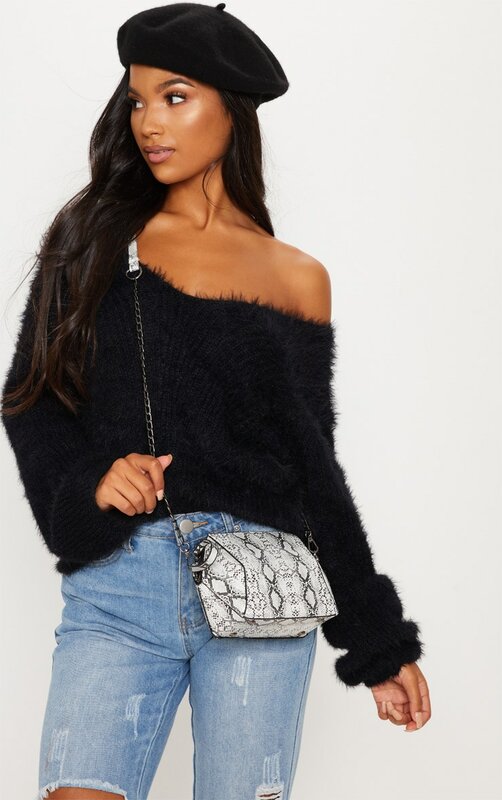 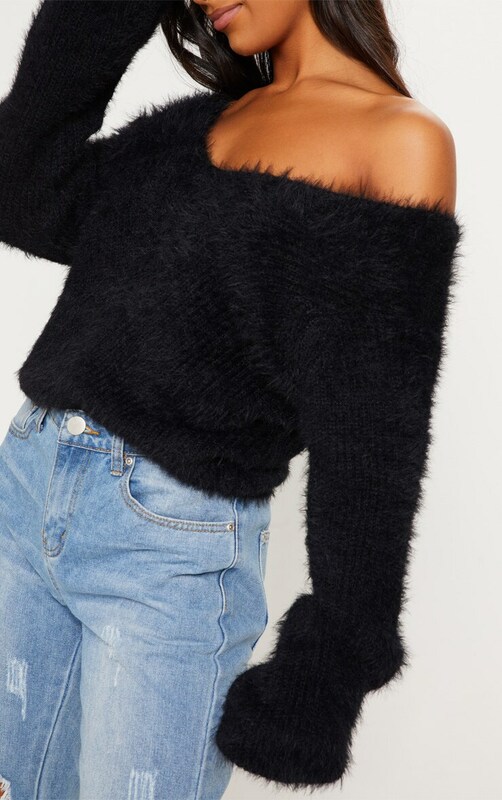 Featuring a black super soft eyelash knit material, with a wide off the shoulder neckline design and long sleeves, you can't go wrong with this for winter. 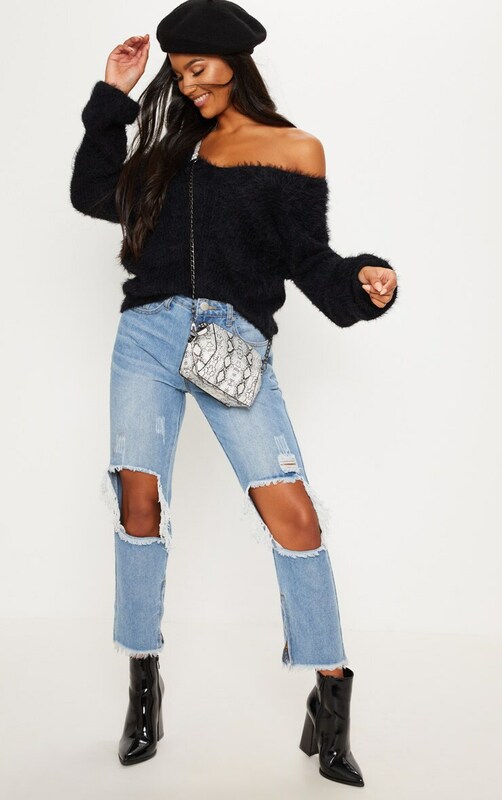 Team with your fave pair of denim skinnies and add chunky boots and a cross body bag to complete this killer look.